At Coverworld we do not sell any Budget covers for Caravans only high quality cover that have long warranties of up to 7 years. All of the covers in our range have been sold for many years throughout Australia. If you have bought covers in the past from stores or online retailers you have probably been disappointed with the amount of the time the cover has lasted, we know that a lot of budget covers even with advertised warranties of up to 3 years can normally only last for 12 months before significant break down in the material. Due to the intense UV conditions in Australia you need to use specialist fabrics that are engineered for this extreme level of UV, we all know what being in the sun does to our skin, the same applies to RV's. If you use a cheap cover the material will quickly get UV damaged and if you don't use a cover your RV can become UV damaged. We offer the best warranties in Australia and the widest range of Caravan Covers in Australia. Many of our Caravan Covers are Coverworld exclusive designs, our covers are made from high quality fabrics that are designed to last in the Australian weather conditions. All of our fabric options are from from Solution Dyed fabrics which means that they have exceptional weather resistance properties and are unlike off the shelf budget van covers. 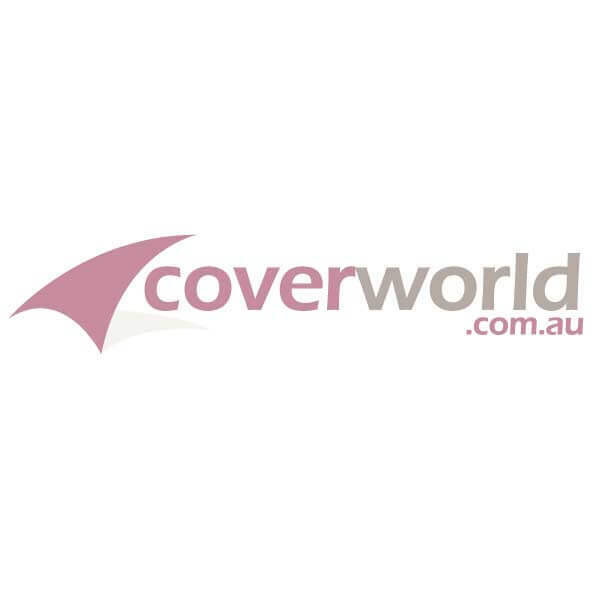 At Coverworld we know the world of covers can be confusing because certainly a lot of companies make veyr good claims about their covers and its hard to know if its true, but at Coverworld we are very conscious of cover quality.